Fred became very interested in sports medicine after experiencing two major knee injuries both required surgery and treatment post-op. Fred decided to pursue Human Kinetics at the University of Guelph and then Sports Injury Management at Sheridan College to become an Athletic Therapist CAT(C). Most manual post graduate courses Fred enrolled in to further his skills was soon realized that they were based on Osteopathic principles. He became a student of the second graduating class at the Canadian College of Osteopathy (D.O.M.P.). 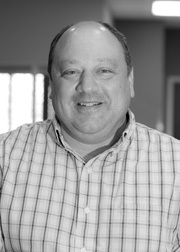 With more than sixteen years of experience Fred has mentored and trained many Athletic Therapists, D.O.M.P.s. and other professionals whom still attend the clinic for treatment. Having grown up in Oakville, Fred came back to establish a private practice at Appleby College for elite athletes and members of the community whom wish to remain active. He then moved his practice and established the Oakville Sports Medicine Centre in 1997. Since opening, he actively pursued his associates working at the centre and as a team they have set the high standards our clients and community expect. Fred brings many years of experience not only clinically but draws on his past work with teams and on-site coverage of many events. Since the year 2000 Fred has pursued more education and has completed numerous Athletic Therapy and Osteopathic related courses and has provided many seminars for community education as well lectures other health care professionals.